This certification course helps product leaders go beyond reactive mode to generating true value for customers. We get hands-on with a set of techniques for generating deep customer insights that set your products apart from the rest. Once we have those insights, Scrum is the leading framework for building innovative products and services. Through immersive simulations, you will learn what product managers need to do to get teams delivering their initiatives. This course helps product leaders go beyond reactive mode to generating true value for customers. We get hands-on with a set of techniques for generating deep customer insights that set your products apart from the rest. Once we have those insights, Scrum is the leading framework for building innovative products and services. Through immersive simulations, you will learn what product managers need to do to get teams delivering their initiatives. Who should be the PO? 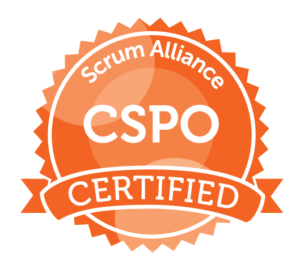 Certified Scrum Product Owner (CSPO) is the industry’s most popular certification for product management in an agile context. Certified Collaboration Architect (CCA) is the official credential for the Certified Innovation Games technique. Two days, two innovation frameworks, two certifications, double value all the way around! The best part of the class was combining learning with hands on. If you are interested in taking your skills to the next level, then invest in yourself and take this class - you will not regret it. Leaps & Bounds above other classes - great toolkits I will actually use in real life. Great supporting data for continual improvement including the state of Agile and how to fit agile parts together synchronously for max value. A bridge-builder in the world of project management, Jesse is the founder of the original PMI Agile Community of Practice, co-creator of the PMI-ACP agile certification, and co-author of the Software Extension to the PMBOK Guide. 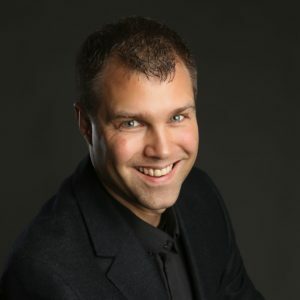 Jesse is the author of the handbook for virtual teams, Can You Hear Me Now?, and has traveled the globe as the world’s only PMP authorized to teach both Innovation Games and Scrum certification courses. How do the certifications work? All certifications are granted based on full and complete participation in the associated programs. During the program sessions, more instructions are given for how to claim the certification. Some programs require a post-class test (e.g. Certified ScrumMaster). Something happened at work and I can’t attend. How do I cancel? By Drop us a line, and we’ll do whatever we can to get you booked in another session. Will this workshop really happen? To create a meaningful learning experience, workshops must have a minimum number of registrants before they are “Guaranteed to Run”. In order to get an early-bird discount, you will usually have to register before most others. In the rare event we don’t have enough people to run the course, we will give you a full and complete refund. Are there any extra fees I need to worry about? Jesse’s programs feature all-inclusive pricing. Unless otherwise stated, program prices include books, supplies, and certification fees. Will there be breaks during the day? I have a lot of work to do. In order to maximize focus on learning, Jesse’s immersive workshops offer limited time to do your regular daily work. It is recommended you make arrangements beforehand to set appropriate expectations that you will be unavailable during a given day.